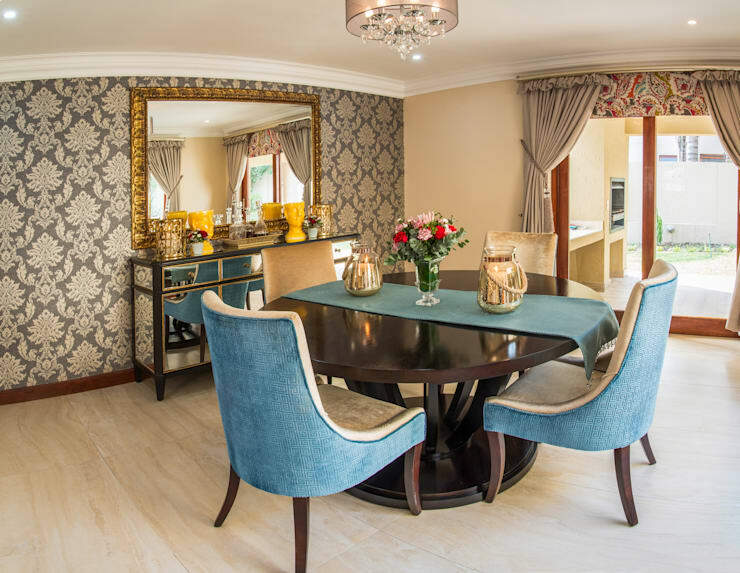 The dining room is a space for conversation, entertainment, delicious food and family gatherings, the decor therefore needs to reflect the style of the homeowner, whether it be classic, retro, funky or even artistic. 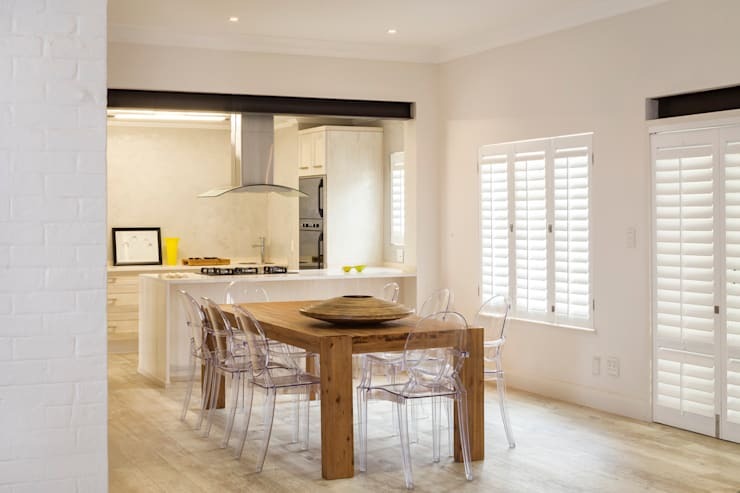 In this homify feature we admire 11 desirable dining rooms that are sure to be the life of any dinner party, you may want to start thinking about that theme after all. The first dining room we visit is eclectic and different. It seems that grey and wood is the preferred colour of choice for this spacious interior, while pretty accent tones adorn the walls. 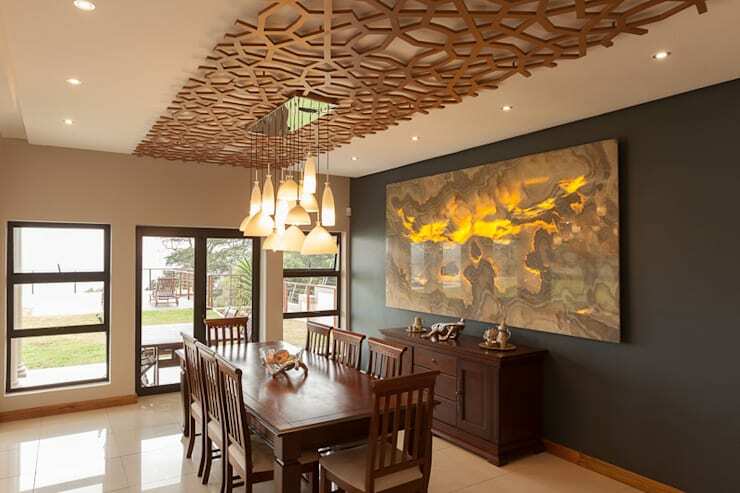 A classic dining room incorporates light shades, simple illumination and of course a large dining table. This one seats 10, so you won't have to bring in the trestle table for that intimate couples only dinner party. 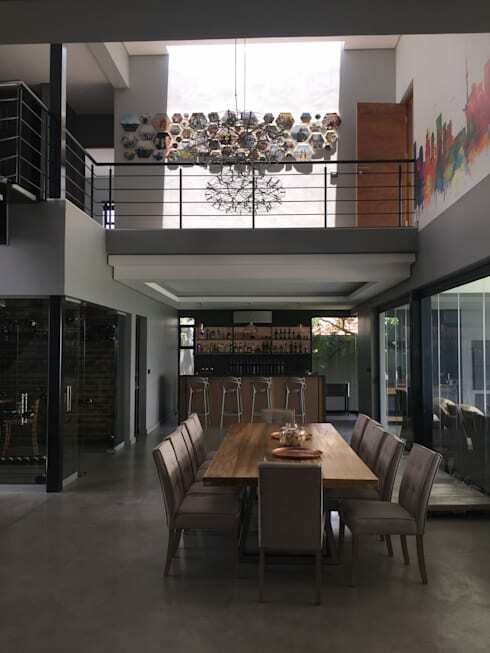 Go with modern fixtures such as under the counter lighting, a fantastic fireplace and a brilliant chandelier to light up the dining room in gorgeous style. 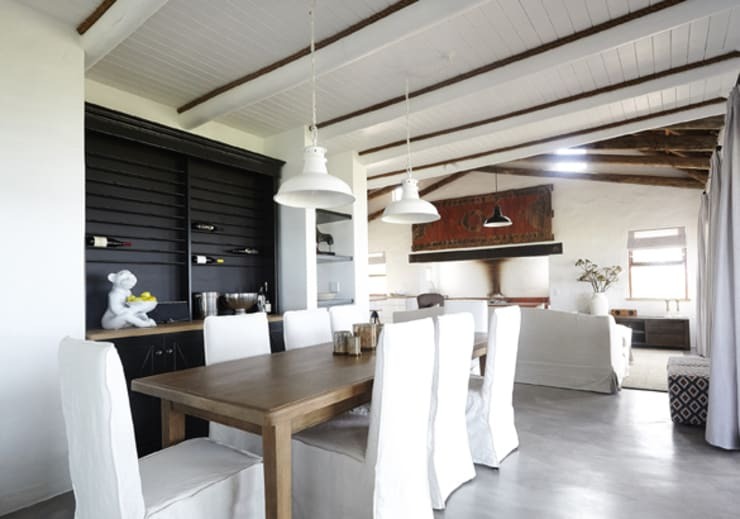 For your open plan dining room, think of it as an extension to your kitchen and plan your decor to blend in accordingly. 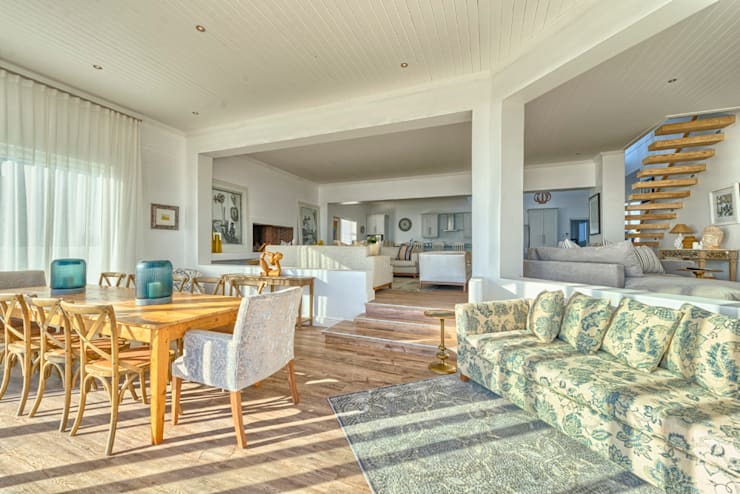 A home at the seaside will fit this charming shabby chic design perfectly. Think textures, natural materials and a few vibrant accents here and there. 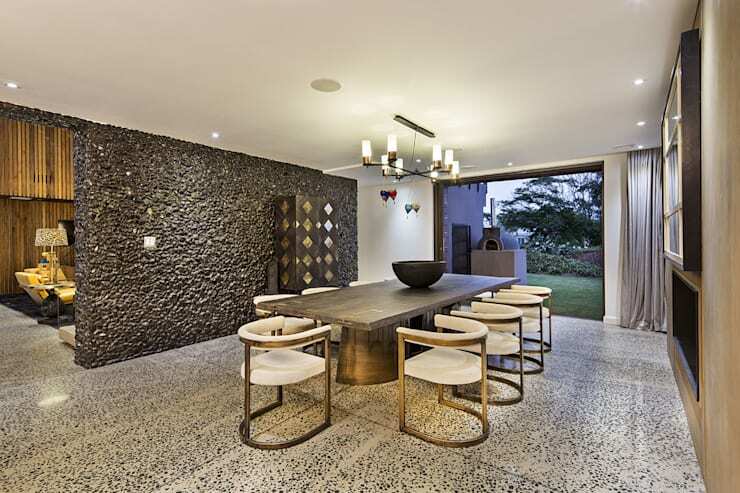 The ultra-minimalist dining room needs almost invisible chairs, don't you think? 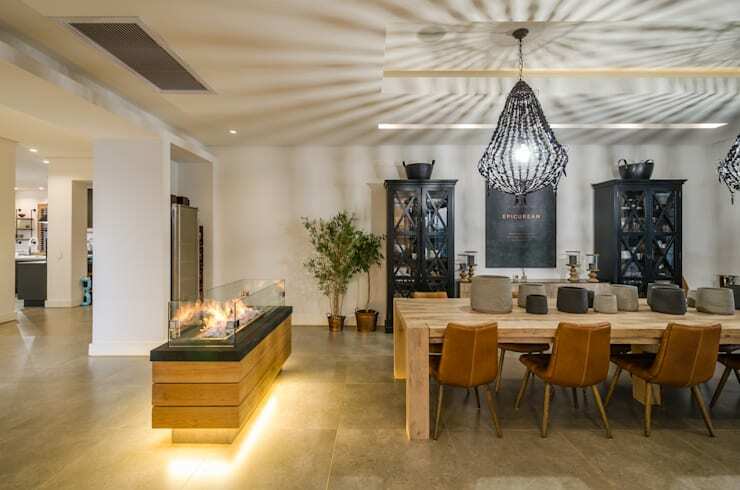 Opt for something a bit more retro and vintage with these darker hued wooden table and chairs, romantic lighting complete s the design perfectly. 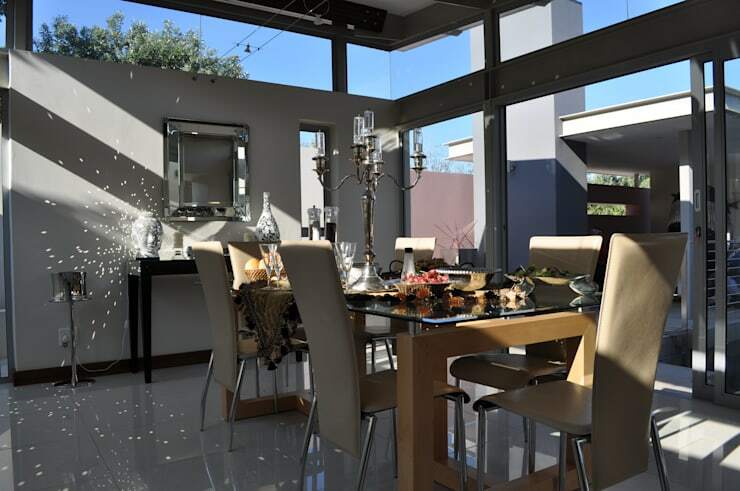 Candelabra and glossy elements ensures that this dining room is elegant without being extravagant. White chairs and lamps along with the wooden table and black side board creates a design that is straight from a magazine. How about being daring and different? This odd choice of chairs and decor may just be the conversation starter at Christmas. 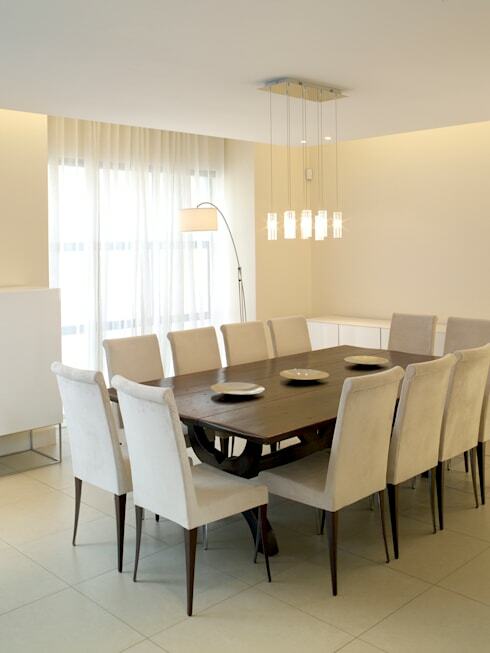 While this dining table may look small, it's the luxurious decor and accessories that enhances the space. Look at the focal wall, attractive colour scheme and of course attractive illumination and mirror, it completes the decor without a hitch. 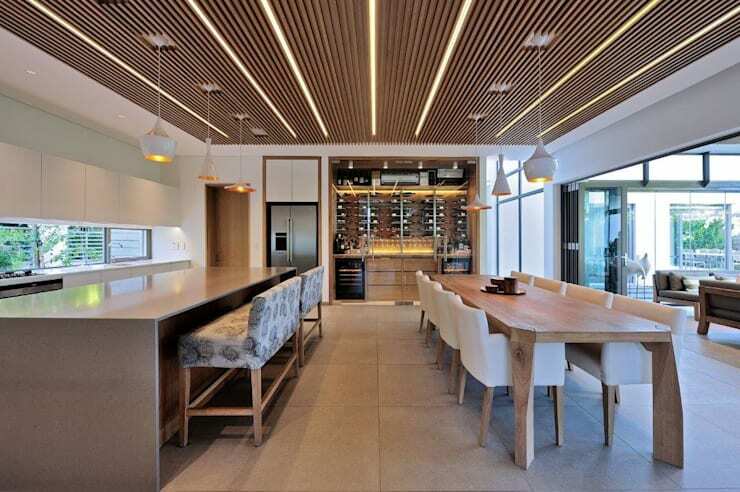 How about these 28 photos fantastic open plan kitchen and dining rooms?